When your creative juices are a quart low, why not turn to your favorite picture books for lesson plan ideas? So many children's picture books lend themselves to lots of great creative activities that are just perfect for an early childhood classroom. Start with reading a favorite story at your morning circle time and plan an entire day celebrating the picture book you just read. There is no limit to the early childhood book extensions you can create when you begin with great picture books. To get your class into the spirit, allow them to vote for their favorite stories. Pick two or three for them to choose from, and hold an election. A few days before your story stretcher day, count the votes with the children and declare a winner. There is no shortage of great picture books to choose from to create a story stretcher day. Try some of these favorites to get started, and add your own new ideas to continue the theme. 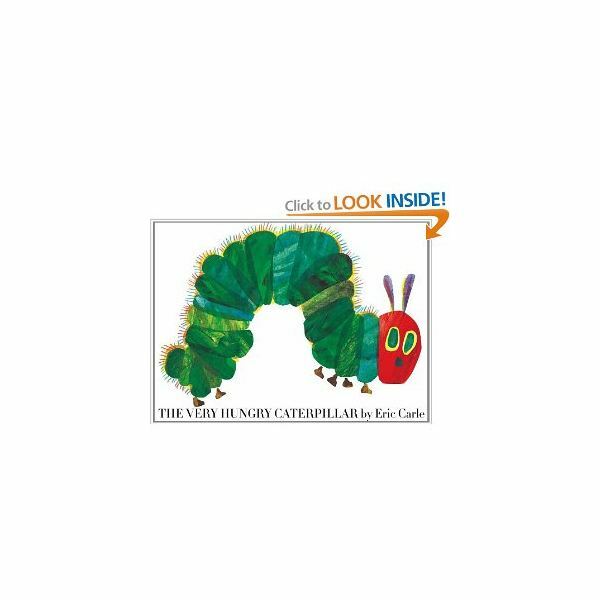 A preschool favorite, The Very Hungry Caterpillar by Eric Carle is a very simple story about a caterpillar that becomes a butterfly. Art: Study the way Eric Carle makes his illustrations. He uses tiny bits of ripped construction and tissue paper. Allow children to create art in the way of Eric Carle with tissue paper squares and construction paper scraps. Be sure to have lots of glue on hand! Snack: Sample some of the fruits and vegetables the caterpillar eats. Allow children to help in the kitchen if possible, sorting the different fruits and vegetables and arranging the plates and bowls on the snack table. Math: While children are snacking, ask them which fruits are their favorites. Be sure to keep track of the results. As a math activity, graph the children's favorite fruits and vegetables on large chart. Ask the children to help you count the votes for each fruit and vegetable and decide which tasty snack was the winner. Movement: Have children mimic a caterpillar turning into a butterfly. Choose some instrumental music to play during this activity. Use silky scarves or fabric scraps as props for this activity. The Hat by Jan Brett is the story of a silly hedgehog that finds a sock and wears it on his head like a hat, much to the delight of his farm animal friends. Math: Play a matching game with some sock shaped cutouts. The matching game can be for upper and lower case letters, printed numbers and dots, or even just pattern matching. Art: Bring out the recyclable materials and allow children to make their own imaginative hats. To make this activity a little bit easier, use a cardboard party hat as a base and allow children to glue materials onto it. Fabric scraps can also be used for this activity. Language Arts: At the end of the book, all of the farm animals pull an item of clothing from the clothesline and wear it on their heads. Play a memory game and see if children can recall which farm animal wore which piece of clothing at the end of the story. Dramatic Play: Fill your classroom dress up box with some of the items of clothing found on the clothesline at the end of the book such as a heavy sweater, wooly socks, long john bottoms, and scarves. As a small group, act out the end scene of the book, in which all of the animals wear the clothing in a creative way. In the same vein as the classics If You Give a Mouse a Cookie and If You Give a Moose a Muffin, also written by Laura Numeroff, this story escalates in the same manner, ending with eating more pancakes, of course. When reading, have the children pay close attention to the things the pig does in the story, which includes taking a bath, tap dancing, mailing a letter and decorating a tree house. Sensory Play: Fill your sensory table with warm soapy water and have the children give the plastic farm animals, especially the pigs, a bath. Provide them with sponges, washcloths, bath poufs and pouring cups. Language Arts: In the book, the pig wears a special outfit when she tap dances. Talk with the children about uniforms and the professions that require special clothing such as policeman, firefighter and dancer. Play a matching game, placing the correct outfit with the correct worker. Writing or Journals: Ask children to write a letter to their family about their day. They can draw pictures or write words. Help the children fold the letters and place them in an envelope. Mail them to the families at the end of the day. Snack: Pancakes, of course! Ask the children for suggestions for toppings for the pancakes. Is Your Mama a Llama? by Deborah Guarino is another simple favorite with a familiar story line in rhyme about a llama searching for his mother. Math: Create simple two piece puzzles showing an animal baby on one side and its mother on the other side. Laminate or mount the puzzles on cardstock or cardboard for durability. Allow children to explore the puzzles on their own. Science: Discuss animal habitats with your class. Study the illustrations in the book and decide which habitat each animal lives in. Create a few Poster Boards featuring these habitats, as well as cut-outs of the animals featured in the books. Ask the children to glue the animals in the correct habitat. Language Arts: Go through the book again and pick out the rhyming words with your class. Discuss the characteristics of rhyming words. Ask the children for more examples of rhyming words, emphasizing the sounds of the letters. Movement: Play a freeze dance game. Have children act out the movements and sounds of each animal featured in the book such as bat, owl, cow, duck, kangaroo and seal. Play music while children mimic movement and sound. When the music stops, the children must freeze and you will announce the next animal to mimic when the music begins again. This idea gives you endless options for fun lesson plans! 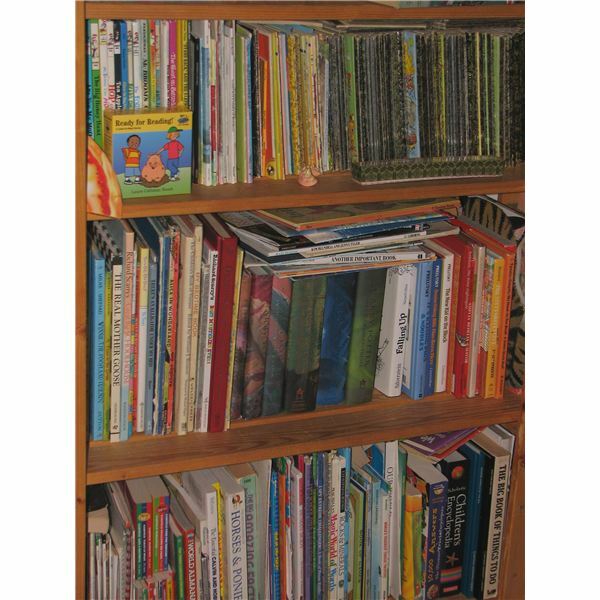 Virtually any children's picture book can be extended to create wonderful learning activities that children will enjoy. Next time you need a little bit of help planning your next thematic unit, look no further than your classroom book center!